Settle is a wonderful, bustling, historic Yorkshire Dales market town at the gateway to Upper Ribblesdale and in sight of the wild and lovely Forest of Bowland. 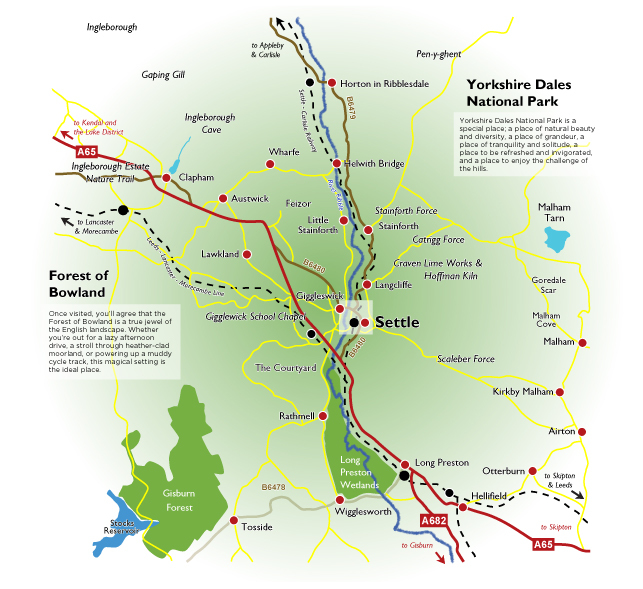 The town is full of quality independent shops, cafes, inns and restaurants and is home to the world famous Settle-Carlisle Railway. The surrounding limestone landscape abounds with dry stone walls, meadows, peaks (three of them! ), field barns, waterfalls, becks, caves, potholes .....and sheep! 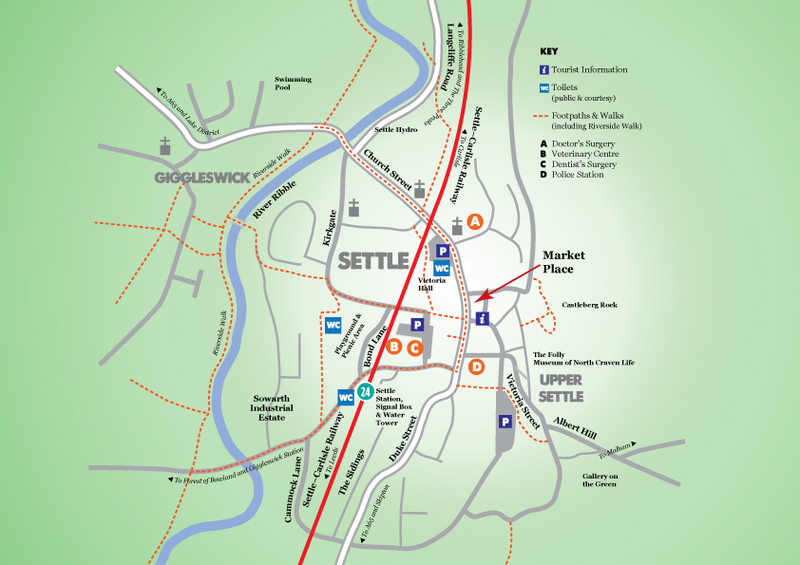 Please take some time to explore our website to discover why the Settle Area is such a fantastic place to visit - be it for a day-out, a short break or an extended holiday.